Professional coaching is about creating awareness, strategizing desired outcomes, setting goals, being held accountable to those goals and desires, working on personal and professional change while moving forward in life. The Client is in charge of the coaching and the coaching relationship. You set the agenda. Coaching is not mentoring - mentoring is like someone holding your hand showing you the way forward. Mentors have personal experience to guide their mentee often in the same professional area of work. Coaching is not consulting - consulting is hiring an expert to diagnose and solve a specific problem. Coaching assumes the person/team can generate their own solutions. 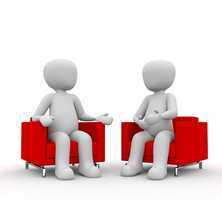 Coaching is not therapy or counseling - Therapy and counseling deal with the healing past, pain, dysfunction, and trauma. Coaching is future focused. Coaching is not like athletic coaching - Coaches may or not be an expert in the specific area being coached. Coaches do not focus on areas of weakness and errors. Coaches focus on strengths and look for possibilities for development and improvement. How do you know if you are ready for coaching? How coachable are you? Use the following questions to determine how coachable you are. 1. I am reliable and will be at all coaching sessions on time. 2. I am willing work and take action. 3. I want to move forward with my life. 4. I am willing to change or stop self-defeating behaviors that limit my success. 5. I will speak straight and be truthful and be honest with my coach. 6. I am willing to try new ideas, take new actions and form new habits. 7. If I am not getting what I need from my coach, I will share this as soon as I know this and ask for what I need from the relationship. 8. I have adequate funds to pay for coaching and will not regret or suffer about the fee. I see coaching as a worthwhile investment in my life. If you can answer the majority of the above questions with a Yes! then click the button, "I'm Ready for Coaching" below to get started. If not, now may not be the best time for coaching for you. Feel free to contact me if you have any questions. Questions modified by Teresa Bitner, based on and courtesy of and copyrighted by Coach U Inc, www.coachu.com @2003, coachville.com. Do you have or need a change? Do you desire resiliency so you can bounce back from change? Here are some scenarios where we can partner with you to build resiliency and thrive in a change and design you life together. 1. Change due to circumstances - new job, job loss, child birth, death of a loved one, stuck in grief, divorce, empty nest, mid life crisis/opportunity, next life stage, change in health, change in care giver status, move, or deployment, etc. 3. Change is necessary – someone is asking you to change, personal habits are not working to help you live your life, relationships are not fulfilling, feeling stuck, no passion for life, bored, unhealthy habits/relationships, career is stalled, etc. AND YOU are ready to make that change? Not sure or want to learn more? Click the button below.